Souda is located 6.5 km east of the town of Chania on the road to Rethymnon. The town stretches along the southern coast of the Gulf of Souda. The largest natural harbour in the Mediterranean is formed by the main body of Crete and the Cape Meleha, called also Akrotiri. 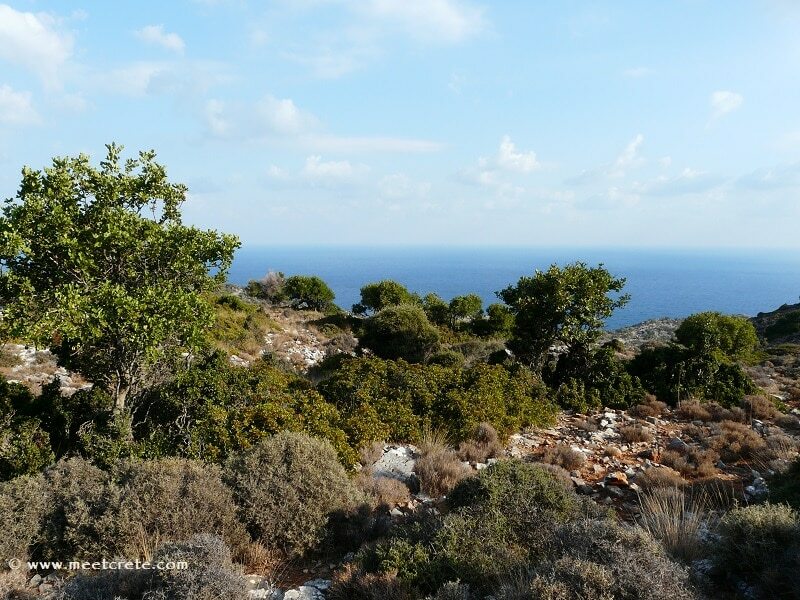 The geophysical location and orientation of Souda, combined with the size and adequate depth, makes it a safe harbour during the whole year. Its location in the center of the eastern Mediterranean on the ancient sea routes gives a special strategic importance, thus causing the strong interest from antiquity until today. Souda Bay is one of the strategically important anchor of NATO in the Mediterranean. 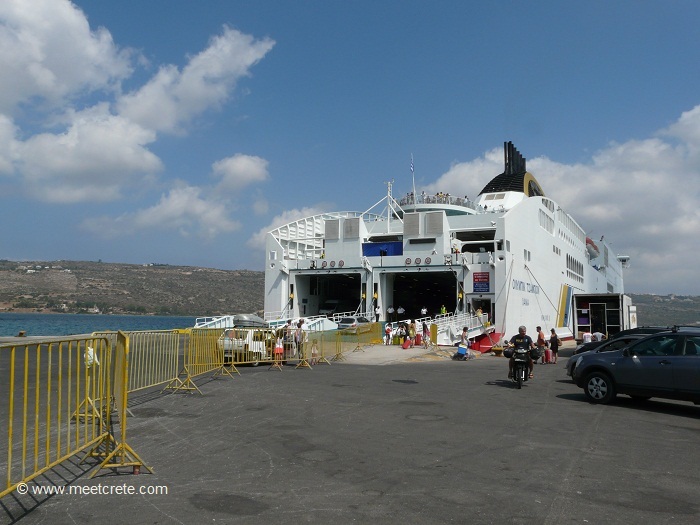 The port occupies the entire southwestern part of the bay and offers a modern commercial and passenger port and the main ferry link of west Crete with Piraeus. 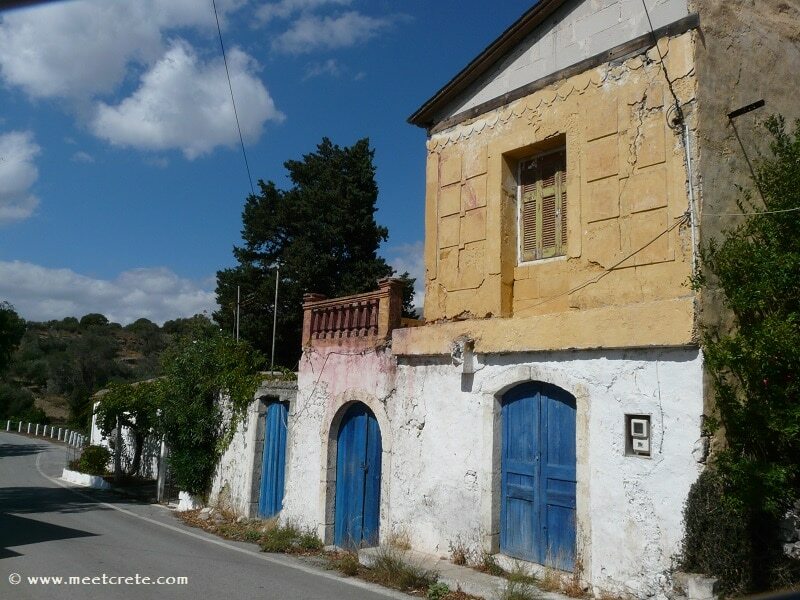 Today Souda is a small town whose name for the locals represents: “port”. From here the daily ferries to Piraeus leave throughout all the year. In the last few years it has also become port of call for numerous Cruise lines. At the entrance of the harbor the huge silos of a flour milling company dominates the picture, operating already in Souda since 1928. It counts today among the most important mills in Greece, with daily milling capacity of 450 tons of wheat and animal feed production capacity of 500 tons per day. The night ferries from Piraeus arrive around 06.00-06.30hrs in the morning, during the summer months July and August also day ferries are offered. 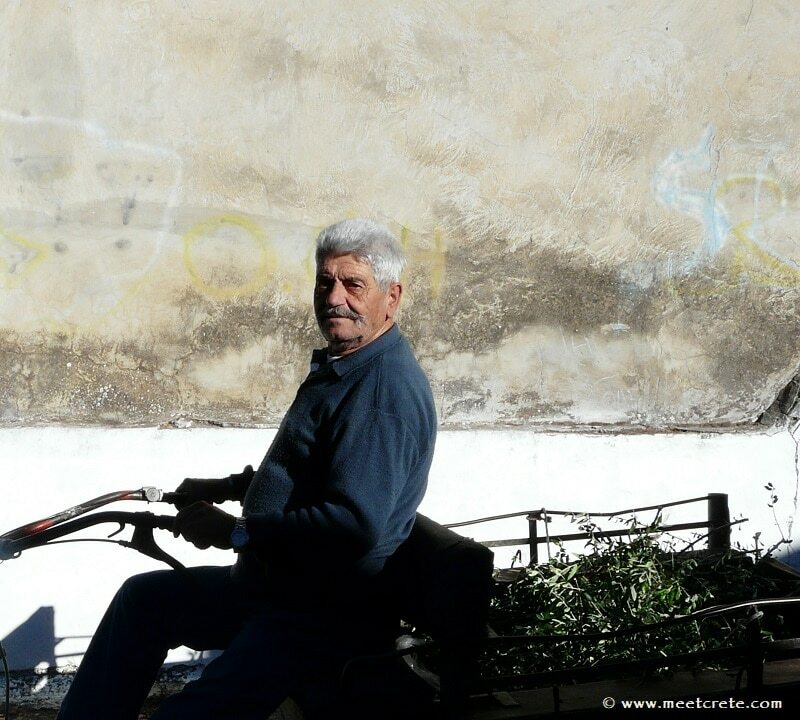 There are plenty of cafeterias for your coffee or breakfast at the large central square of Souda and of course also lunch or dinner are offered. 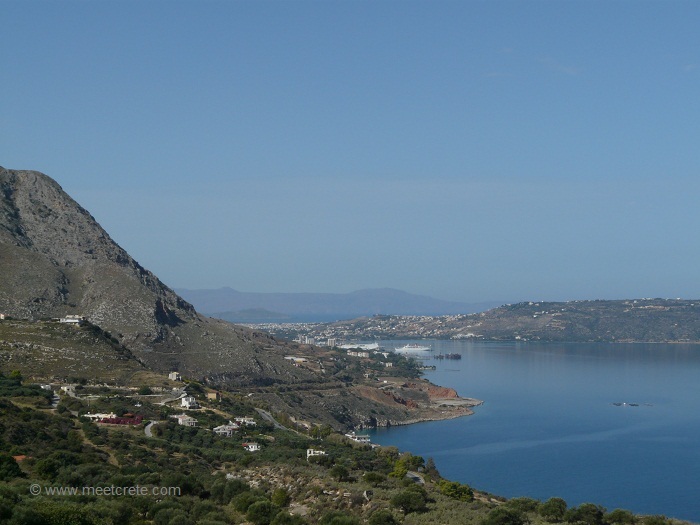 Partial view of Souda Bay. In the foreground the Itzedin fortress, in the background the islet Fraronisi. The small town stretches along the southern coast of the Gulf and took its name probably from of the Latin word suda = trenches, ruler, narrow passage, as mentioned by the British traveler Pasley. It is not sure when its reference first appeared, certainly before the Middle Ages, and probably before the conquest of Crete by the Arabs in 823. During the Venetian occupation the Venetians constructed salt evaporation ponds here, with an annual production of 150,000 kilos salt. The Ottomans called the region “Tuzla”, which means salt lake in the Turkish language. In May 1822, 84 freighter ships disembarked in Tuzla, which escorted 40 warships, 10.000 Ottomans, Egyptians and Albanians, led by Hassan Pasha to suppress the revolt of the Cretans. In 1870 Rauf Pasha drained the salterns and built there a settlement named Azizie in honor of the Sultan Abdul Aziz. 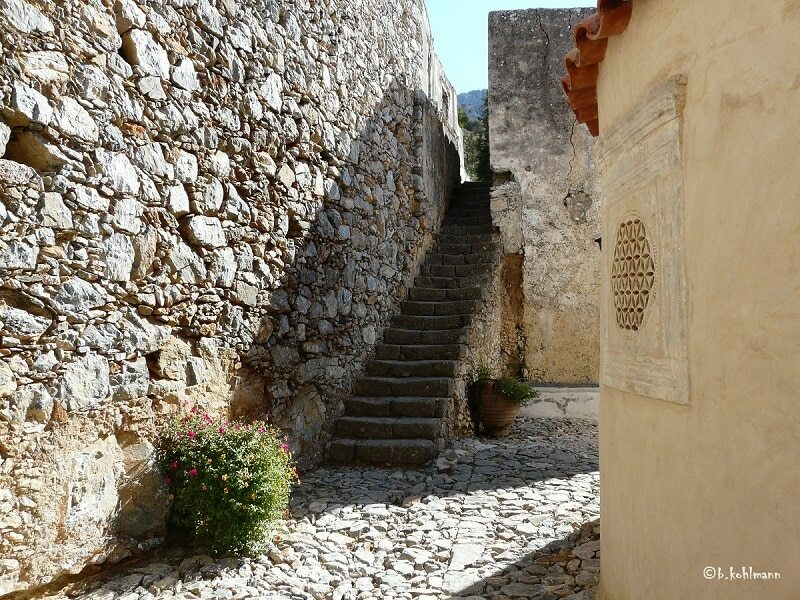 150 Turkish families were installed here, where today lies the neighbourhood of Kato Souda. In the years of Cretan governance, the port was a main disposal area for the armies of the Great Powers, who were the supervisors of the new autonomous Cretan state. The great welcome ceremony of the commissary of the Cretan state, Prince George, was held in Souda in 1898. 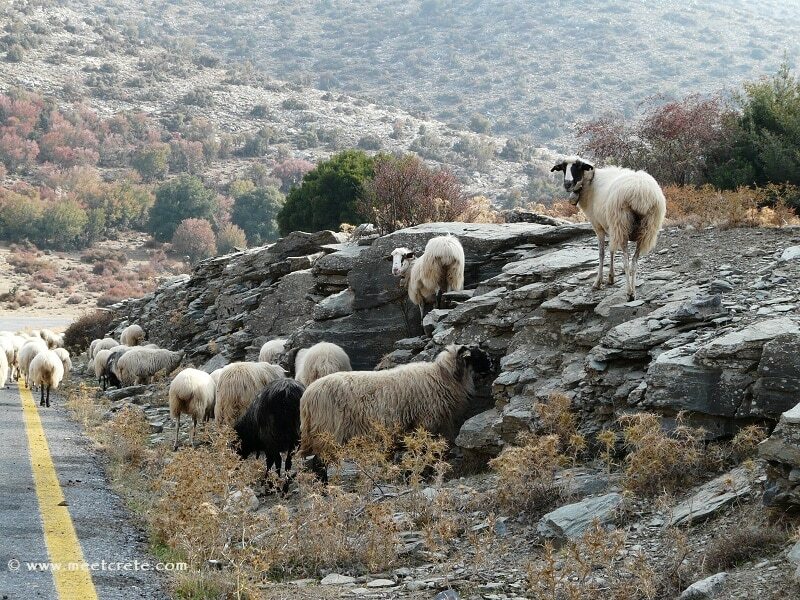 During the Cretan State 1898 – 1913, the village became a center of interest of the “Great Powers”. During this period, Souda played a significant role in the First and the Second World War. At its coast the ocean liner Minevaska was torpedoed during the First World War. During the Second World War, it was used as a port and refueling point to the English fleet. Churchill wanted to transform Souda into an “amphibian citadel” according to his words (Memoirs B2, 619), but to no avail, as he confessed. 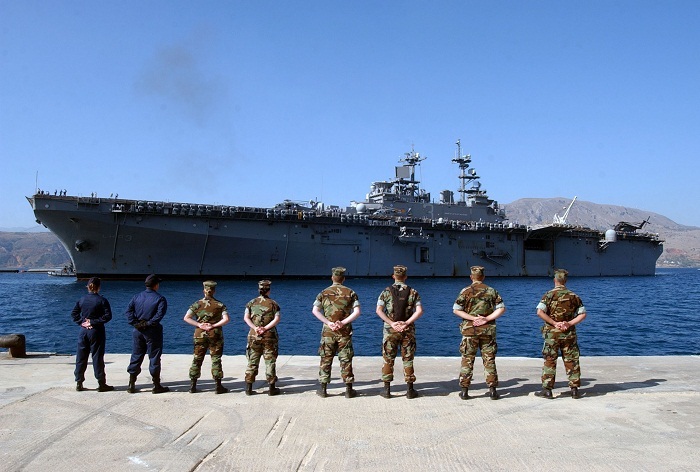 Naval Dock Crete: Hellenic Navy and NATO naval base. Since 2007 the naval base hosts the NATO Maritime Interdiction Operational Training Centre (ΝMIOTC), located at the Northern Sector of the base. NAMFI: NATO Missile Firing Installation, an extensive missile firing range located north of Souda Air Base. According to records, a first fortification of the island was constructed in about 1230; however, this information is not supported by further evidence. The Florentine monk C. Buondelmondi reported the existence of a temple of St. Nicolas on the island, where Augustine monks lived. The island was named “Isoloto dei Frati” (Island of Brothers) after them, or “Fraronisi”. In 1538 the pirate Hairentin Barbarossa disembarks in Souda,looting and burning down the region of Apokoronas. The looting is once again repeated in 1571 from the Algerian Ouloutz Ali. This event obliged the government to take action. From the numerous fortification proposals, the government selected the one designed by Latino Orsini, who supervised the first phase of the construction. 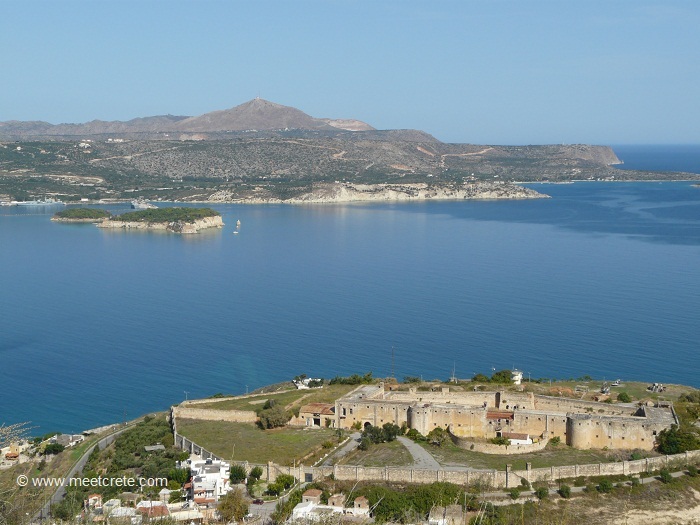 The islet of Souda is then fortified and an underwater sea wall called “Porporella” is also constructed opposite from the islet. 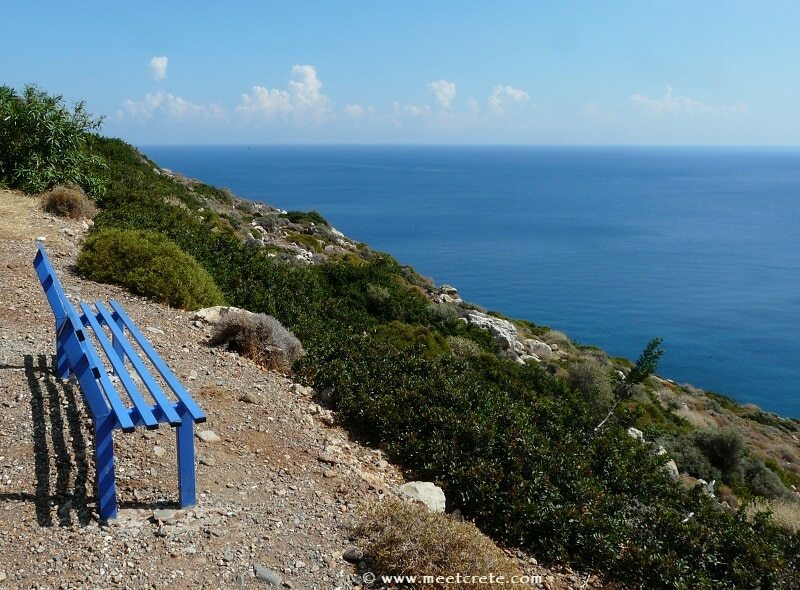 Finally, on the islet of Souda the last act of the Turkish presence in Crete was performed, when in February 14, 1913 the Greek flag replaced the Turkish flag on the islet. The site of the War Cemetery was chosen after the 2nd World War and graves were moved there by 21st and 22nd Australian War Graves Units from the four burial grounds that had been established by the German occupying forces at Chania, Iraklion, Rethymnon and Galata, and from isolated sites and civilian cemeteries. There are now 1,500 Commonwealth servicemen of the Second World War buried or commemorated in the cemetery. 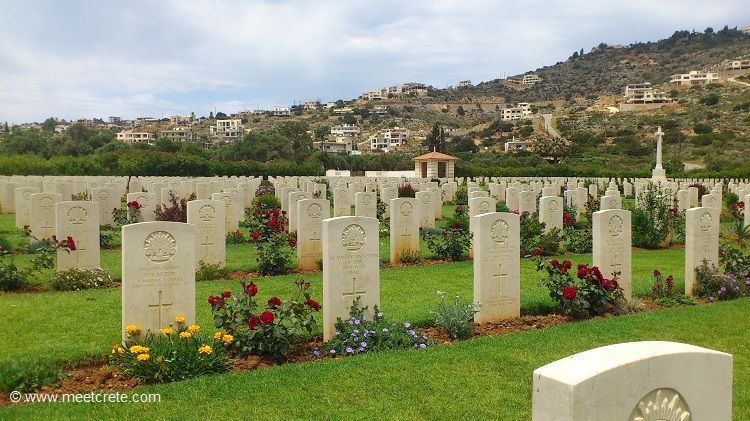 Continue reading about this cemetery in the article The War Cemeteries in Souda Bay and Maleme. Cruise ships dock in the Port of Souda which is actually a neighbouring town to Chania. From the ship there were some beautiful views of the coastline of Crete but the other way it was a busy working port which serves the ferry’s that go around the Greek Islands. It’s is a 20 minute bus ride to Chania and approximately 6 kms.